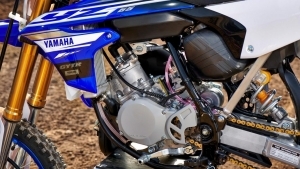 The YZ65 has been released in Australia and is now available in store today. This new machine is a game changer. 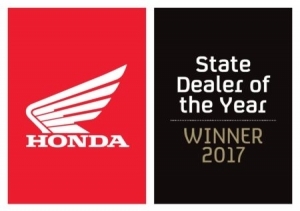 2017 Honda State Dealer of the Year! 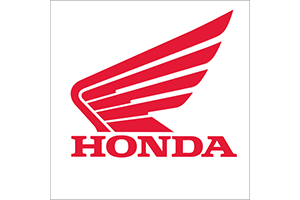 Wilder Motorcycles and Power Equipment was announced the 2017 Honda State Dealer of the Year on Thursday March 29. Darren and Tanya would like to thank our valued staff and customers in supporting the dealership to achieve this award. 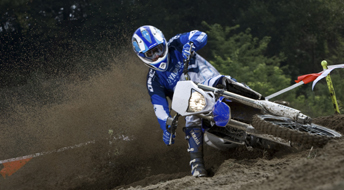 HOW TO MAKE WILDER MOTORCYCLES AND POWER EQUIPMENT PART OF YOUR WINNING TEAM? Wilder Motorcycles are part of your winning team, on the race track, on the farm and in the yard. Like you, we understand that getting the job done right and getting to the finish as quickly as possible relies not just on your skills but also the team that back you up. 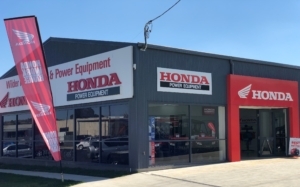 At Wilder Motorcycles and Power Equipment we team up with our customers each and every day, with quality service, products and advice, and most importantly a commitment to your results. Sometimes this means going the extra mile, making that extra call, searching that bit harder, taking that extra care with your machine. Because, after all, wouldn’t you, expect that from your highly committed team. For those who ride, it can be a near spiritual experience. Astride the agile machines we love today, it’s no longer a battle against our terrain but instead we create some kind of holy union. Each blip of the throttle elevating the senses, taking us to a place far-far away from the burdens of everyday life. Like all the great things in life it’s an experience best shared with friends. We have a great time with old friends, we make new friends, and indifferences melt away on two wheels, even old rivals become mates out on the trail, track or the open road. With such an amazing experience available is it any wonder you want your riding experience to be as hassle free as possible. Getting in the groove, getting the flow, being in the zone, that’s what it’s all about. At Wilder Motorcycles we know that feeling, that’s why we do the job right. 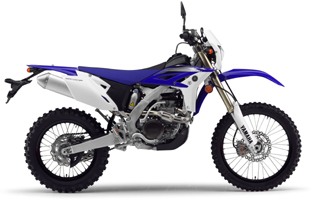 From advice on the best machine, to service, spares and accessories lets take you’re riding to the next level. On the land you need your team helping you achieve your bottom line and productivity objectives. Time and cost saving innovations, reliability and maximum up time all count.. At Wilder Motorcycles we’re not just a dependable, organised and innovative part of your team, we’re also great communicators. This means we can share with you the latest and greatest in farm technology and help you achieve your outcomes. 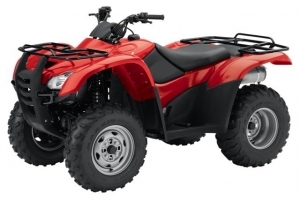 So whether its service, spares or the latest in ATV farming technology, Wilder Motorcycles are part of your bottom line productivity team. What more noble cause could there be than creating a beautiful lawn and garden. And with today’s crop of high tech power equipment the task is that bit easier. Gone are the days of throwing a shoulder on hour long bouts at the whipper sniper pull start. 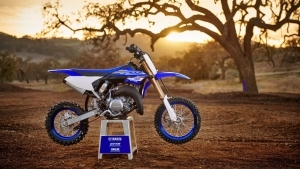 Or the arduous stalling of under-powered, two stroke clunkers on long messy bits of lawn. 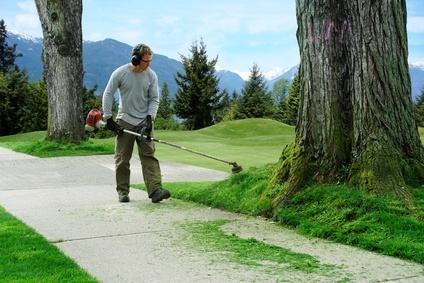 These days you can maintain and build your lawn and gardens in record time with minimum hassle, leaving you more time, and energy to spend with your family and friends. In fact the power equipment we sell is so advanced you may just decide to spend more time in the yard. 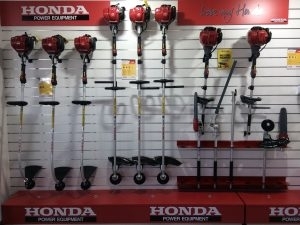 At Wilder Motorcycles and Power Equipment we bring you the best in time saving and class leading power equipment and accessories from Husqvarna, and Honda Power Equipment. Our team have a wealth of experience and can help you choose the right gear for the application. All backed up by our effective service team, and well stocked spare parts department. Kids love riding too. That’s why at Wilder motorcycles we stock a full range of kids bikes and accessories. The bikes are really little, really reliable and really fun. Mini bikes can be a great way to teach kids about responsibility, safety and concentration all while getting into the great out doors. 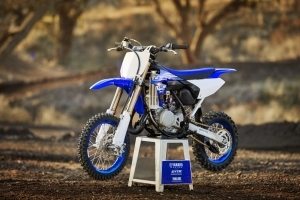 At Wilder Motorcycles all the kids’ products we sell are of highest quality. So the fun can last longer and your worries can be kept to a minimum.